The Aussie Millions is one of the classic poker tournaments in the world, a fact evidenced by the annual New Year exodus of the world's best players from Europe and America in the direction of the Crown Casino in Melbourne, Australia. In January 2006, Lee Nelson of New Zealand beat all-comers to the title and took home A$1,295,800 and in January 2007 there will be a total prize pool in excess of A$5,000,000! PokerNews.com and VIP Poker are hosting the US$12,000 Aussie Millions Freeroll at 15.00 EST (8pm GMT) on 24th November. The winner will receive a US$12,000 Team PokerNews Aussie Millions package and will travel to Crown Casino in Melbourne, Australia in January to compete for a share of over A$5,000,000. This Team PokerNews Aussie Millions Package will consist of the buy-in to the 2007 Aussie Millions Main Event (worth A$10,500), ten nights accommodation at the Crown Promenade Hotel, and approximately $2,800 for travel and expenses. On top of this fantastic package, the winner will get to be a part of Team PokerNews, and will receive extra benefits such as Team PokerNews gear, and invites to exclusive team functions. 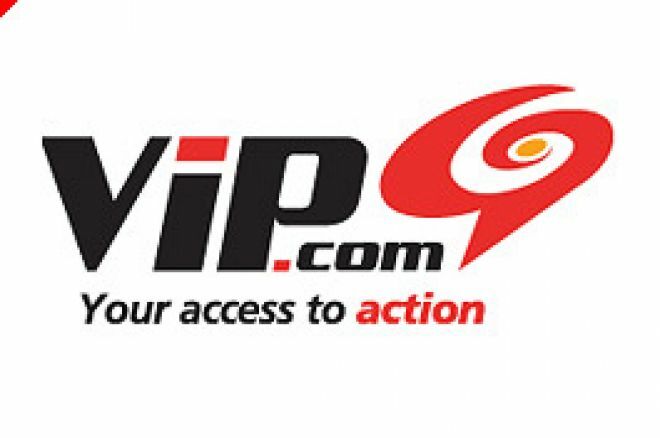 To be eligible to play this freeroll, players must first download VIP Poker through the special PokerNews links and create a new account. Players must then make a deposit and play at least 500 raked hands to receive an invitation. Remember that this is a freeroll exclusive to Poker News readers which means that the field will not be huge thus giving those that enter a realistic chance of winning the US$12,000 Package! So far in 2006, Team PokerNews has given away over $250,000 and sent 22 players to the WSOP. Expect Team PokerNews to be even bigger at the 2007 Aussie Millions in January! Ed note: Be the VIP who goes to the Aussie Millions! Download VIP Poker now and win your seat on 24th November.